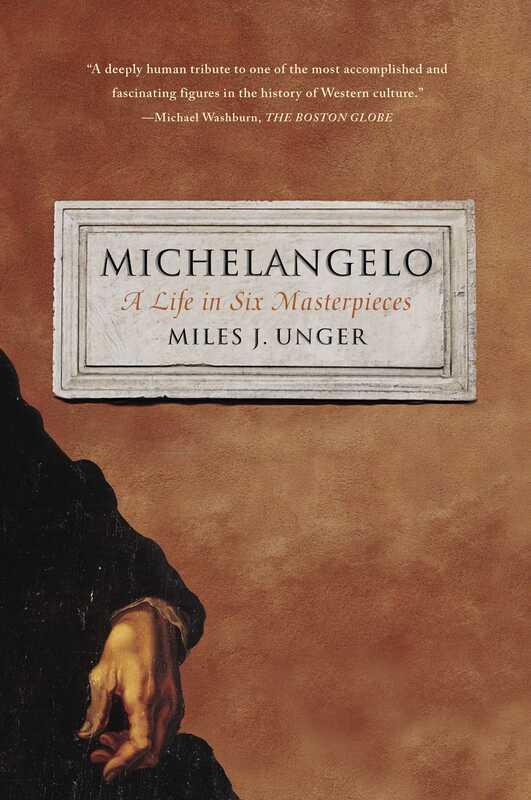 This is the life of one of the most revolutionary artists in history, told through the story of six of his greatest masterpieces: “The one indispensable guide for encountering Michelangelo on his home turf” (The Dallas Morning News). Michelangelo stands alone as a master of painting, sculpture, and architecture, a man who reinvented the practice of art itself. Throughout his long career he clashed with patrons by insisting that he had no master but his own demanding muse. Michelangelo was ambitious, egotistical, and difficult, but through the towering force of genius and through sheer pugnaciousness, he transformed the way we think about art. Miles Unger narrates the life of this tormented genius through six of his greatest masterpieces. Each work expanded the expressive range of the medium, from the Pietà carved by a brash young man of twenty-four, to the apocalyptic Last Judgment, the work of an old man weighed down by the unimaginable suffering he had witnessed. In the gargantuan David he depicts Man in the glory of his youth, while in the tombs he carved for his Medici overlords he offers perhaps history’s most sustained meditation on death and the afterlife of the soul. In the vast expanse of the Sistine Chapel ceiling he tells the epic story of Creation. During the final decades of his life, his hands too unsteady to wield the brush and chisel, he exercised his mind by raising the soaring vaults and dome of St. Peter’s in a final tribute to his God. “A deeply human tribute to one of the most accomplished and fascinating figures inthe history of Western culture” (The Boston Globe), Michelangelo brings to life the irascible, egotistical, and undeniably brilliant man whose artistry continues to amaze and inspire us after five hundred years. “Provides insightful perspective on Michelangelo. . . . [Michelangelo] made some of the most enduring art in Western civilization and profoundly changed the way we think about artists. Thoughtful exploration of his work, which this book most definitely is, will always be rewarding." "A deeply human tribute to one of the most accomplished and fascinating figures in the history of Western culture." "Wonderfully perceptive art history embedded in a fascinating life story and delivered via Unger's supple and exquisite prose." "[Unger] is also an engaging writer and has chosen his illustrative examples well. . . . [His] critical remarks . . . are especially lithe and discerning. . . . An elegant introduction, and the approach, of singling out a handful of representative works for microscopic scrutiny and macroscopic discussion, makes the subject accessible to a wide audience."